On a recent visit to Honolulu, I delved into the rich history of natural medicine practiced by Hawaiian healers or kahunas. Much like other native cultures, traditional Hawaiian healing takes a decidedly holistic point of view. The body, mind and spirit are considered integral to the maintenance and/or restoration of good health. A strong environmental component also factors in. In order for an individual to find true peace and wellness or ho’omana, harmony must be achieved between man, nature and the gods. In addition to this overarching view of wellness, several traditional remedies are beginning to make inroads into modern medicine in Hawaii and beyond. Traditional Hawaiian Remedy #1: Hula Dancing - From a medical perspective, dance is increasingly considered a mind-body exercise with a valuable role in promoting cardiometabolic and mental health. Recent studies have determined that hula-based interventions effectively lower blood pressure in hypertensives while reducing body pain. As a bonus, regular hula practice has been shown to improve physical and social functioning in both native Hawaiians and those not culturally familiar with it. Traditional Hawaiian Remedy #2: Kava Root - Awa is the Hawaiian name for kava (Piper methysicum). Historically, kava ceremonies have involved the use of chewed and pounded kava root that is consumed as a calming and consciousness-expanding beverage. These days, kava extracts are widely available in encapsulated and tincture forms, primarily employed to ease anxiety. Several recent trials have helped to clarify the medicinal potential of this botanical. Two studies published in 2013 report that up to 240 mg/day of kavalactones, believed to be “active ingredients” in kava, safely reduced anxiousness in both men and women. Also of importance, the women participating in one of the experiments noted a marked increase in sexual drive and performance. A word of caution about kava: some evidence suggests that chronic use of this soothing botanical may increase the likelihood of road-related accidents and injuries. However, based on two preliminary studies, acute kava supplementation isn’t associated with impaired driving or neurocognition. Even so, I think it’s best to err on the side of caution. That is, avoid operating any form of heavy machinery until you’ve adequately assessed your own response to kava or any other anxiolytic remedies. Traditional Hawaiian Remedy #3: Poi - Fermented foods play a valuable role in many cultures – think kefir, kimchi, sauerkraut and yogurt. 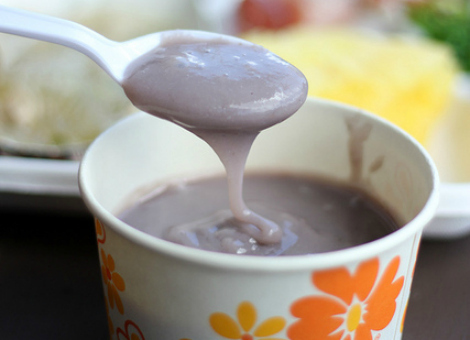 In Hawaii, the most prevalent source of dietary probiotics is poi. Derived from the corm (stem) of the taro plant, poi is a rich source of lactic-acid producing bacteria. To date, there haven’t been many scientific studies evaluating the relative merits of poi as compared to other traditionally fermented foods. Having said that, there are numerous accounts in the medical literature about this staple food aiding with childhood allergies and even promoting weight gain in “failure to thrive” infants. Additionally, poi is generating interest in conditions involving gastrointestinal distress (inflammatory bowel disease) and/or disease-related weight loss (AIDS, cancer cachexia, cystic fibrosis) because of its “easy digestibility”. From my perspective, the future acceptance of traditional Hawaiian medicine largely lies in the hands of two groups: the kahunas and scientific researchers. In the past, a certain degree of secrecy was employed by Native Hawaiian healers. In fact, the word “kahuna” not only means healer, priest and teacher, but also “keeper of the secrets”. And, as is the case in other parts of the world, modern medicine has often considered itself separate from the ways of old. If and when both sides work together more closely, present and future generations of Hawaiians and the world are sure to benefit. Kava for the treatment of generalised anxiety disorder (K-GAD): study protocol for a randomised controlled trial. BACKGROUND: Generalised anxiety disorder (GAD) is a chronic and pervasive condition that generates high levels of psychological stress, and it is difficult to treat in the long term. Current pharmacotherapeutic options for GAD are in some cases only modestly effective, and may elicit undesirable side effects. Through targeted actions on the gamma-aminobutyric acid (GABA) pathway, the South Pacific medicinal plant kava (Piper methysticum) is a non-addictive, non-hypnotic anxiolytic with the potential to treat GAD. The evidence for the efficacy of kava for treating anxiety has been affirmed through clinical trials and meta-analyses. Recent research has also served to lessen safety concerns regarding the use of kava due to hepatotoxic risk, which is reflected in a recent German court overturning the previous kava ban in that country (which may in turn influence a reinstatement by the European Union). The aim of current research is to assess the efficacy of an ‘aqueous noble cultivar rootstock extract’ of kava in GAD in a larger longer term study. In addition, we plan to investigate the pharmacogenomic influence of GABA transporters on response, effects of kava on gene expression, and for the first time, the neurobiological correlates of treatment response via functional and metabolic imaging. METHODS/DESIGN: This clinical trial is funded by the Australian National Health and Medical Research Council (APP1063383) and co-funded by MediHerb (Integria Healthcare (Australia) Pty. Ltd). The study is a phase III, multi-site, two-arm, 18-week, randomised, double-blind, placebo-controlled study using an aqueous extract of noble kava cultivar (standardised to 240 mg of kavalactones per day) versus matching placebo in 210 currently anxious participants with diagnosed GAD who are non-medicated. The study takes place at two sites: the Centre for Human Psychopharmacology (Swinburne University of Technology), Hawthorn, Melbourne, Australia; and the Academic Discipline of Psychiatry (The University of Queensland) based at the Royal Brisbane and Women’s Hospital, Herston, Brisbane, Australia. Written informed consent will be obtained from each participant prior to commencement in the study. The primary outcome is the Structured Interview Guide for the Hamilton Anxiety Rating Scale (SIGH-A). The secondary outcomes involve a range of scales that assess affective disorder symptoms and quality of life outcomes, in addition to the study of mediating biomarkers of response (assessed via genomics and neuroimaging). DISCUSSION: If this study demonstrates positive findings in support of the superiority of kava over placebo in the treatment of GAD, and also is shown to be safe, then this plant-medicine can be considered a ‘first-line’ therapy for GAD. Genomic and neuroimaging data may reveal clinical response patterns and provide more evidence of the neurobiological activity of the plant extract. PLoS One. 2016 Jun 22;11(6):e0157700. Kavain, the Major Constituent of the Anxiolytic Kava Extract, Potentiates GABAA Receptors: Functional Characteristics and Molecular Mechanism. Extracts of the pepper plant kava (Piper methysticum) are effective in alleviating anxiety in clinical trials. Despite the long-standing therapeutic interest in kava, the molecular target(s) of the pharmacologically active constituents, kavalactones have not been established. γ-Aminobutyric acid type A receptors (GABAARs) are assumed to be the in vivo molecular target of kavalactones based on data from binding assays, but evidence in support of a direct interaction between kavalactones and GABAARs is scarce and equivocal. In this study, we characterised the functional properties of the major anxiolytic kavalactone, kavain at human recombinant α1β2, β2γ2L, αxβ2γ2L (x = 1, 2, 3 and 5), α1βxγ2L (x = 1, 2 and 3) and α4β2δ GABAARs expressed in Xenopus oocytes using the two-electrode voltage clamp technique. We found that kavain positively modulated all receptors regardless of the subunit composition, but the degree of enhancement was greater at α4β2δ than at α1β2γ2L GABAARs. The modulatory effect of kavain was unaffected by flumazenil, indicating that kavain did not enhance GABAARs via the classical benzodiazepine binding site. The β3N265M point mutation which has been previously shown to profoundly decrease anaesthetic sensitivity, also diminished kavain-mediated potentiation. To our knowledge, this study is the first report of the functional characteristics of a single kavalactone at distinct GABAAR subtypes, and presents the first experimental evidence in support of a direct interaction between a kavalactone and GABAARs. J Health Care Poor Underserved. 2016;27(2):815-33. An Evaluation of the Ho’ouna Pono Curriculum: A Pilot Study of Culturally Grounded Substance Abuse Prevention for Rural Hawaiian Youth. This pilot study evaluated the Ho’ouna Pono curriculum, which is a culturally grounded, school-based, drug prevention curriculum tailored to rural Native Hawaiian youth. The curriculum focuses on culturally relevant drug resistance skills training and is aligned with the State of Hawai’i academic standards. 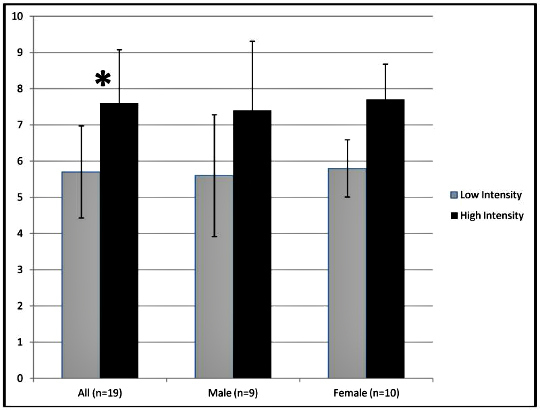 Six Hawai’i Island public middle/intermediate schools randomly assigned to intervention or treatment-as-usual comparison conditions (N = 213) were evaluated in this study. Paired sample t-tests separating intervention and comparison groups were conducted, as well as mixed models that adjusted for random effects (nesting) at the school level. Findings suggested that the curriculum was effective in maintaining youths’ use of culturally relevant drug resistance skills, as well as decreasing girls’ aggressive behaviors, at six-month follow-up. Unanticipated findings also suggested areas for curricular improvement, including more emphasis on normative drug education. Implications for future research and development of the curriculum are discussed. OBJECTIVE: Hawai’i is an ethnically diverse island state with a high rate of both traditional healing (TH) and complementary and alternative medicine (CAM) use. The aim of this project was to assess TH and CAM use within the pediatric oncology population in Honolulu and improve the delivery of culturally competent care. METHODS: A 9-item survey was distributed to all pediatric oncology patients at Kapi’olani Medical Center for Women and Children for 3 months. The survey inquired about patient ethnicity, TH practices, CAM practices and perception of cultural competence of the care received. Descriptive statistics were calculated for the survey items. Qualitative analysis was done with participant comments to identify themes. RESULTS: Sixty-two surveys were completed. TH was used by 39% of the respondents in the home, and 10% in the hospital (top method was traditional foods). CAM was used by 27% of the respondents in the home, and 68% in the hospital (top method was healing touch). Ninety-seven percent of the respondents reported receiving culturally competent care. Areas for improvement included language services and dietary choices. CONCLUSION: CAM and TH are used frequently by pediatric oncology patients in Hawai’i, and the vast majority of patients and families felt that the care they received was culturally competent.